JERUSALEM — Fulfilling a campaign promise — and with deadly protests occurring less than 50 miles away — the Trump administration opened the new American embassy in Jerusalem Monday. 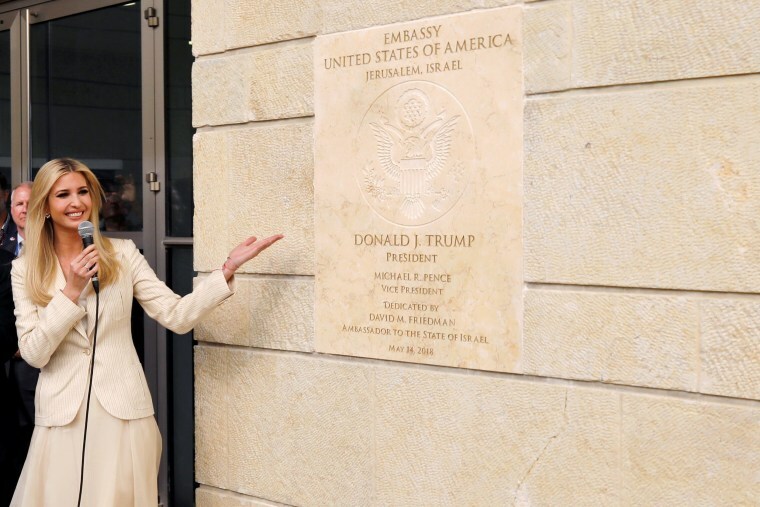 Ivanka Trump at the new U.S. embassy in Jerusalem. U.S. 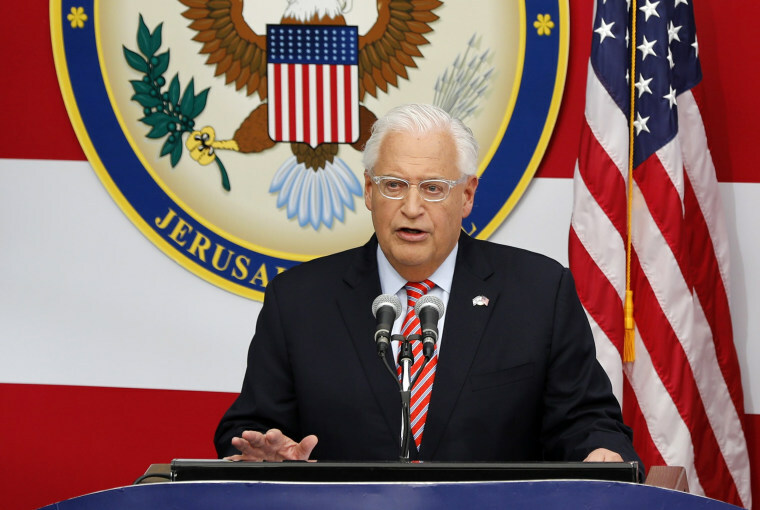 Ambassador to Israel David Friedman, as well as Trump’s daughter Ivanka Trump and son-in-law, Jared Kushner, both top aides to the president, also gave remarks. The controversial move fulfilled a promise by Trump to bring the embassy from Tel Aviv to Jerusalem, having already recognized the disputed city as Israel’s capital. The decision has delighted the Israeli government but angered the Palestinians, as well as concerning some Western allies who say it will further destabilize the region and hamper the peace process. 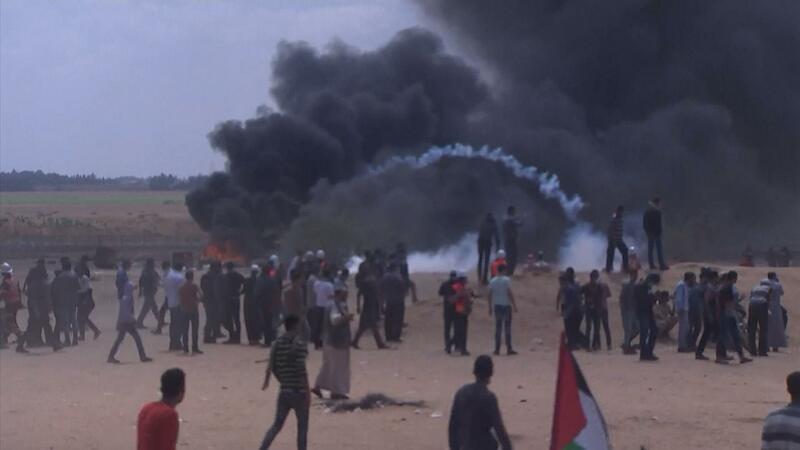 But less than 50 miles away, thousands of people gathered at the security fence between Israel and Gaza in protests that had already turned deadly. The Gaza Health Ministry said that 41 Palestinians had been killed by Israeli Defense Forces as of Monday morning. More than 1,700 others were wounded in the fighting. The deaths marked the bloodiest day in several weeks of Palestinian protests along the razor wire border fence. Israeli officials said the Gaza demonstrations are nothing more than cover for terrorist attacks and that they are instigated by Hamas, the dominant political group in Gaza that the U.S. classes as a terrorist organization. The so called #GreatReturnMarch is nothing more than terror . It is instigated, organized and manipulated by #Hamas, an Islamist terror organization with a hateful and murderous ideology. We will not allow murderous rioters to enter Israeli territory. No other country would . Moving the embassy breaks with decades of Washington policy and distances the U.S. from its allies, who have kept their embassies in Tel Aviv. Since the 1979 Camp David Accords, U.S. presidents have refused to recognize Jerusalem as the capital of Israel or move the U.S. embassy. The U.S. approach had formerly been that Jerusalem’s status should be negotiated between the Israelis and Palestinians. 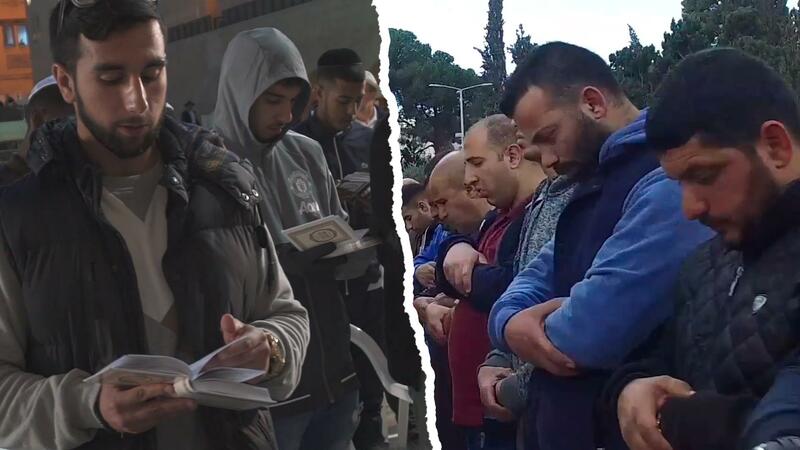 The move prompted scathing criticism from Palestinian authorities. “This move marks the end of an era when the United States led international efforts to supposedly achieve the two-state solution, ending Israel’s occupation that began in 1967 including East Jerusalem,” Dr. Husam Zomlot, the head of the Palestine Liberation Organization’s General Delegation to the United States, said in a statement. Compounding tension over the embassy move was the fact that Tuesday marks the 70th anniversary of what the Palestinians call the “nakba,” or catastrophe, when hundreds of thousands of people were uprooted during Israel’s creation in 1948. Lawmakers in Israeli and the United States, however, lauded the White House for the decision. “Every nation should have the right to choose its capital. I sponsored legislation to do this two decades ago, and I applaud President Trump for doing it,” Schumer said. Security measures in around the American embassy opening event in Jerusalem today. Police units & surveillance balloons in the area. Present for the dedication were several Republican lawmakers, including Sens. Lindsey Graham, of South Carolina, Ted Cruz, of Texas. Palestinian leaders have also called for protests across the West Bank on Monday. The new embassy will remain housed in what was the U.S. consulate until a larger site can be found.